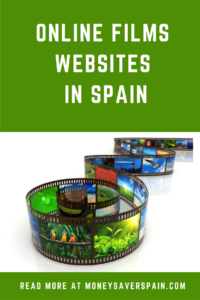 There are a number of options for streaming films in Spain, all you need is a high-speed internet connection. Most of the films available for rent or purchase online come with dual soundtracks, so you can watch them in your preferred language. 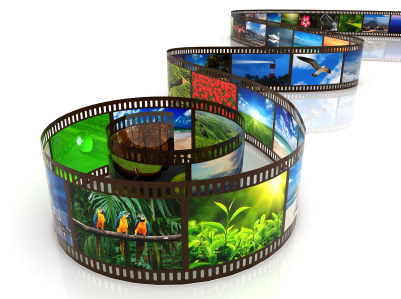 Streaming sites offer image quality superior to most free downloads and high definition (HD) or ultra-HD is also available as long as you have a HD TV or monitor. Signing up to a streaming service guarantees there‘s no risk of computer viruses – something that can’t be said for many free download sites. With most providers you can sign up for the first month for free, in this way you can get an idea of what you’ll be getting for your subscription. Monthly prices tend to be similar to a cinema ticket, and many people think they offer value for money, although some sites charge extra for new movies or series. Remember to check with your mobile provider or even your bank as some give their clients free access for three months. You can also get codes to exchange on Rakuten TV with Danone products, codes are limited to one per week. If you don’t have a fibre internet connection, check the speed of your connection at different times of the day, as it can vary depending on multiple factors. When signing up for a free month some providers may require a small credit card payment (1€ or less). This is to verify your personal info and if you decide not to go ahead with your subscription the amount will be refunded. Basic for 7.99€ – one screen, no HD. Watch Netflix on your tablet, smartphone or computer as well as your TV. Films and series are available in the original language and come with subtitles in several languages. Cancel your subscription at any time. Sky TV offers the first month’s viewing free of charge. Monthly subscription then costs 10€, although occasionally they have introductory promos where you can lock in a lower price. Cancel your contract at any time with no penalty. Currently the website is only available in Spanish. In order to watch the service on your TV you’ll need a Sky TV box which costs 25€ and is available on the website. Offering top series such as Game of Thrones, HBO‘s website is available in English and Spanish. In common with other providers, the first month is free. Then it’s 7.99€ every month and you can cancel at any time. HBO allows streaming on up to two different screens simultaneously. Amazon Prime members get free access to Prime Video with films and series. The selection on offer is probably not as good as Netflix or HBO, but as Amazon Prime costs 36€/year it’s cheaper and it comes with all the other Amazon perks. Most programmes are available in English, some with subtitles in other languages. Download the app on your laptop, tablet and phone to access content wherever you are. Many of the series and films can be downloaded to watch offline, useful when travelling or without a WiFi signal. Previously called Wuaki, Rakuten TV has an extensive catalogue of films and TV series. The website is in Spanish, but most films are also available with the original soundtrack (choose title and check “idiomas”). Rakuten has a monthly tariff of 6.99€ that includes a large number of films. Additional movies not included in the monthly tariff are priced from 1.99€ to 4.99 for 48 hr rental. Rakuten TV offers the opportunity to sign up for a month’s free trial and you can cancel at any time. You’ll need to have a Google account in order to be able to watch films via Google Play. If you visit the Spanish store, films have either a Spanish or English soundtrack. Prices start at 0.99€. When you use the Play Movies App, you’ll be able to watch films offline. On the plus side excellent quality and the possibility to download films to watch on another device. On the negative side, as the terms and conditions of the iTunes store state that each store is country specific, you may need to open another iTunes account. Apple is entering the streaming market in 2019, content will be different depending on the country. Download legally and for free over 1150 classic, indie, westerns and more at Open Culture.